olive and ollie: it's here! my first publication and a giveaway! it's here! my first publication and a giveaway! Last week I received a copy of my first publication, Seaside Home. 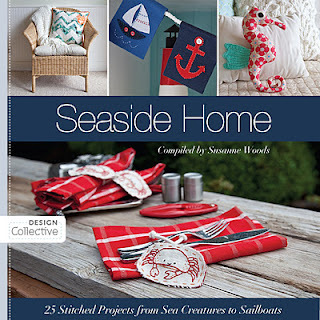 It's a beautiful design collaborative curated by Susanne Woods while she was still with Stash Books, and it has all sorts of projects in it, each with a seaside theme. Susanne asked me to be a part of this book back in October of 2010, so it's been a long time in the works to say the least! But it's so exciting to finally get that copy in your hands and to see your project in print. And here's my project! My Jolly Buccaneer Shirt is fun appliqued project and it looks adorable on a tee, but it would also be fun on a canvas tote bag, or even a decorative pillow to use this summer. 1. Leave a comment on this post telling me what you're looking forward to most this summer. That's it! I'll use the random number generator to choose one winner and the giveaway will be open until Monday, April 2 at midnight ET. International entries are welcome. Good luck! I am looking forward to a break from school and a chance to work. I'm looking forward to a new grandson. Summer.....I look forward to working out in my garden this summer! Thanks for the giveaway! I'm looking forward to watching my newborn learn all kinds of fun stuff! I'm looking forward to my son's college graduation and to a family vacation before he moves many, many miles away to start his new job. Not looking forward to the moving away part so much. I'm a follower. Excited about this book, congrats! I am looking forward to spend as much time outside as we can, especially in our lovely garden. I am a happy follower. Lovely project in the book. Congratulations! congrats Heather! Must be so exciting to finally see it. The design is adorable! I'm looking forward to not having to get up so early to get my daughter to school--seriously. I know you must be so tickled! I certainly would be. Well done. I'm also a follower of your blog. You're an awesome inspiration. Looks like a beautiful book! This summer I'm looking forward to fixing up the backyard and having lots of bbq parties! I'm looking forward to our summer holiday in Ireland! We had to cancel last year because my husband was ill! I'm looking forward to a vacation a some point! I am looking forward to the white beaches of Florida!! I totally need some seaside decor in my FL home.....KEEPING my fingers crossed!! Great giveaway!! I am a follower of O&O!!! I'm looking forward to daily walks and bike rides with the kids, and more sun and less rain! I just followed you, too! Thanks for the giveaway opportunity! I am looking forward to my annual trip to Michigan with my sibs and their large families. Since I am one of six, we end up taking up the entire compound - just like the Kennedys. Just call us the Gormans of South Haven. I am very much looking forward to less routine and much more fun. Let's put the kid's homework away and go to the beach!!! I'm looking forward to long runs outdoors as I train for my first marathon, and long motorcycle rides with my husband. Sleeping in....and sewing as much as I want. What I'm looking forward to most is to continue work on my new garden spot! Its a better area, with lots of sun and my strawberries should be awesome this year! I follow you via email. Love your blog and that you're over the hump of your first publication, well done! I'm looking forward to fall after summer.....grin....already to hot and humid for me.....grin. Looking forward to the warm weather! Thanks for the chance the book looks great! I'm looking forward to traveling and going to the pool. I would love to go to the beach with my little girl... I know for sure she would love that too!! Congrats on your first book. I'm a follower. Thanks for the chance to win. I'm looking forward to fresh locally grown fruits & vegetables at the farmer's market stands. Thanks for the giveaway. Congratulations on having your project in Seaside Home! Such a cute design. This summer I'm looking forward to spending more time with my grandson. My son is a USMarine and is deploying to Afghanistan next month. While he is away my DIL and grandson will be living close to us. I am most looking forward to the sweet local fruit that grows around here. I am a follower. Congratulations on your book! I'm looking forward to watching my boys play outside and get dirty! That is awesome Heather! I want that book! I am looking forward to getting ready to break ground for our new house and the wedding of my oldest daughter. Congratulations! I am a new follower, via email, and your great news was my first post since signing up. I am looking forward to a vacation in July with my two small grandsons. I'm looking forward to going to Texas to see my 2 year old grandson. Thanks for the opportunity to win this book. I follow you on my igoogle home. You will love having a Doxie - ours was such a sweet, funny guy. I want another one, too. How awesome about your book. Congratulations. This summer I'm looking forward to spending LOTS of time with our newest Grandchild who was born 6 weeks ago. She's just a little doll and lives only about an hour away so we'll get LOTS of Grandma and Grandpa time. YAY! I am a follower of your blog by the GFC as well as by email. I live at the seaside but I'm looking forward to a week in the mountains this summer. Thanks for the giveaway. Congratulations on the book!! What an awesome accomplishment. And I know exactly how awful the wait has been, I've been waiting on some "business" funding since Fall 2010 and we just found out we might get it this week!!!! So what am I looking forward to this summer, less stress of course! I follow with email through google. I'm looking forward to spending time outside in "warm" temperatures. This book looks wonderful. I would love some seaside time too. I most looking forward to enjoying the sunshine in my backyard. I am also a follower. :) Thanks for the chance to win and congrats! I amlooking forward to spending my weekends at the beach with my family. Congratulations on the book! I am looking forward to getting back on my bicycle and sheding a few pounds. How wonderful - congratulations on the book! Love the project. I am looking forward to my college daughter being home for the summer! I am a follower too - gfc. i am looking forward to meals outdoors and trips to the coast! 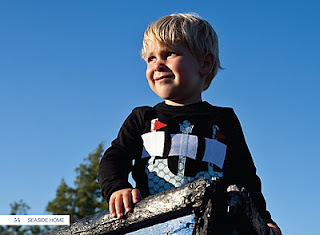 I am looking forward to picnics in the park with my little boys, and lots of bike riding and exploring! Oh, and a trip to the seaside in late summer, yahoo! Congrats! I'm most looking forward to moving into our new home and making it ours! This summer I looking forward to taking my daughter to the beach, and having her both at home and not when out biking and playing with friends! I love summer! I look forward to warm sun, longwalks , dinners outside, and family fun! Your book looks great! I love to go to Canada to go kayaking! Congrats! I look forward to enjoying sunny days outside! I'm looking forward to growing some veg in the garden and coffee in the morning on the back porch listening to the birds in my jammies with nowhere to drive anyone. I'm a regular Follower and read thru GReader. Oh a book - your book :) Great giveaway!! I'm looing forward to a busy summer with the Olympics and Jubille and Fat Quarterly Community Retrest and sewing and working and veg gardening... and just being with my hubby and dog. Yay for summer. I'll be becoming an aunt for the first time this summer. I look forward to that!